SNOW OR NO snow, the show will go on as the inaugural Last Man Standing competition at the National Stadium sees live professional boxing return to Irish terrestrial television for the first time in seven years. Promoters Red Corner and Assassin have put in the hard yards to ensure an eight-man lineup will step through the ropes on Dublin’s South Circular Road for the Prizefighter-style single-elimination tournament; a plethora of pull-outs sees just two of the original eight contestants remain, but it’s scarcely to the detriment of what promises to be an enthralling night’s action regardless. At a press conference in the Stadium today, all eight participants weighed in below the 165-pound limit; they must take to the scales again at 10am tomorrow to ensure they haven’t exceeded 175 pounds overnight. The four seeded quarter-finalists – JJ McDonagh (1), Chris Blaney (2), Roy Sheahan (3) and Jack Cullen (4) – selected their quarter-final opponents this afternoon. Mullingar’s McDonagh [15-3, 7KOs], the Irish super-middleweight champion, selected Gerard Healy [7-4] of Belfast as his adversary in the last eight. Navan’s 10-time amateur champion Blaney [9-0, 3KOs], who’s trained by Ricky Hatton, opted for Owen Jobburn [4-0-1, 1KO], a Stoke-on-Trent native of Athlone ancestry, who enters the competition as a late replacement for Dublin’s Bernard Roe. Third seed Roy Sheahan of Athy [1-0], an Irish amateur legend and one of the most popular characters in the sport, admitted that he didn’t know too much about the rest of the field, and so picked Slovak-born Corkonian Vladimir Belujsky [2-0-1, 2KOs] in what promises to be an intriguing clash of styles. That left 9-0(3KOs) Jack Cullen of Bolton to fight another English replacement – and a pre-tournament favourite – in Liverpudlian Nick Quigley [15-3, 3KOs], who fought gallantly before being stopped by Cork’s Spike O’Sullivan in Boston last September. The winners of McDonagh vs Healy and Sheahan vs Belujsky will face off in the first semi-final, with the victors from Blaney vs Jobburn and Cullen vs Quigley fighting in the corresponding semi. The groundbreaking competition, co-promoted by Red Corner Promotions and Assassin Promotions, is the first of its kind to be held in Ireland, and has a total prize fund of almost €60,000. The eight combatants will do battle for the €25,000 winner’s cheque as well as a further €5,000 for their amateur boxing club. An extra €5,000 will be awarded to whoever scores the quickest stoppage on the night. The tournament will be broadcast on TG4 from 8:15pm on Saturday, where Micheál Ó Domhnaill and Sean Bán Breathnach will assume the roles of presenter and commentator respectively. BUI Celtic featherweight champion Eric Donovan, former WBO World middleweight champion Andy Lee and 2008 Olympic silver medallist Ken Egan – a selector for the competition – will be joined by ‘Big’ Joe Egan and former world-title challenger Sean Mannion as part of the broadcast team. 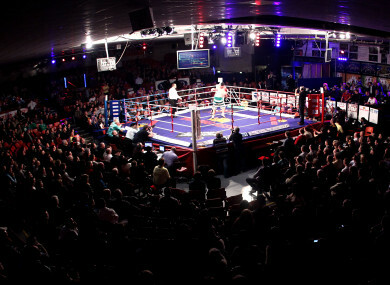 The Last Man Standing undercard includes a tantalising Dublin derby between Craig O’Brien and Jay Byrne for the Irish light-middleweight title, while Victor Rabei fights Mark Morris in a Dublin-Belfast battle, and Leinster Rugby athletic performance coach Cillian Reardon enters pro boxing’s middleweight ranks for the first time. A limited number of tickets for the event remain, and can be purchased here. Email “Fighters choose foes for Saturday's big-money Last Man Standing tournament in Dublin”. Feedback on “Fighters choose foes for Saturday's big-money Last Man Standing tournament in Dublin”.